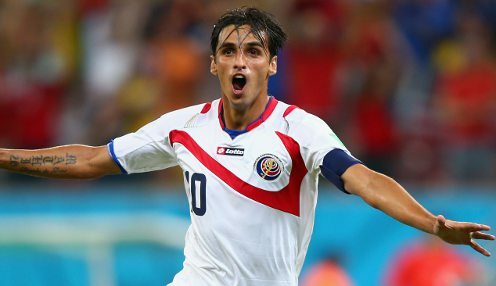 Costa Rica international Bryan Ruiz has ended his four-year stay with Fulham and signed for Sporting Lisbon. The 29-year-old joined the Cottagers for £10.6million from FC Twente in the summer of 2011 and scored 12 goals in 97 league appearances for the club. Ruiz, who spent the second half of the 2013/14 campaign on loan at PSV Eindhoven, has agreed a three-year contract with Sporting. Fulham are 1/1 to be promoted from the Championship in 2015/16 and 1/1 to beat Cardiff City in their first game of the season on 8th August. I've loved it, I've worked hard and now it's paid off. I have to thank the manager for giving me the opportunity. Meanwhile, Fulham have completed the signing of the former Tottenham and Wolves player Jamie O'Hara on a one-year deal. The 28-year-old made 34 Premier League appearances for Spurs before moving to Molineux for £5million four years ago. However, his career stalled as Wolves drifted down into League One and he moved to Blackpool in November 2014, featuring in 27 Championship matches as the Seasiders suffered relegation. Ruiz, who becomes Fulham's fifth summer signing following the arrivals of Ben Pringle, Andy Lonergan, Tom Cairney and Jazz Richards, said: "I'm absolutely delighted. I've had a couple of weeks training with the team and I really felt I wanted to get to this club. "I've loved it, I've worked hard and now it's paid off. I have to thank the manager for giving me the opportunity."